Chairs | JOLLY JACKS JUMPING CASTLES! Having a party or event? Need extra tables and chairs to cater? Don’t worry, Jolly Jacks Jumping Castles can help out. We hire out tables and chairs all over Melbourne either with jumping castle bookings or not. Our tables and chairs are heavy duty commercial plastic chairs and trestle tables. All are white. Jolly Jacks Jumping Castles deliver and pick up the tables and chairs all over Melbourne. 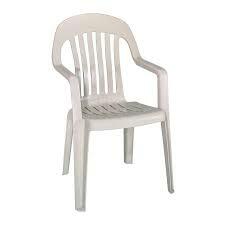 Price: $3 for each chair; $15 each heavy duty plastic tables at 1.8m long.